Articles of Incorporation. Save Time And Money. Simple to use. Key document used in the formation of a corporation. Popular The central legal document for any corporation is the Articles of Incorporation. In some states, this document may be called a Certificate of Incorporation, Charter of Incorporation, or Articles of Organization. Please check the appendix for the requirements in your particular state. Upon filing of the Articles of Incorporation, payment of the proper fee, and acceptance by the state corporation department, the corporation officially begins its legal existence. Until the state has accepted the articles, the incorporators are not shielded from liability by the corporate form. Some states have chosen to confuse matters slightly by referring to another corporation form that may be issued by the state as a Certificate of Incorporation. The Articles of Incorporation for your corporation should include all information required by your state. Since the articles are a public record, all of the information in them will be available for inspection. However, since the names of the directors will usually be required to be revealed in the annual reports that are filed with the state, there is no purpose in attempting to conceal identities of actual management of the corporation. Much of the information that is not required in the articles may instead be put into the bylaws of the corporation. In this manner, the actual management structure and details will remain unavailable for public inspection. Bylaws, mentioned earlier, help set up the structure and operation of your corporation. Bylaws set out the number of directors and officers of the company, how they are elected, when formal meetings must be held and how any board vacancies will be filled. Bylaws basically set out the rules and conduct under which members of the corporation must abide. Articles of Incorporation - Amendment This Kit provides forms and guidelines for amending your corporation's Articles of Incorporation. Articles of Incorporation Kit This kit provides tools for preparing, completing and filing your corporation's Articles of Incorporation. Bylaws Amendments for Corporations Helpful tools, guidelines and forms for use in amending a corporation's Bylaws. Pre-Incorporation Kits Kit which provides tools for determining the details of a corporation's purpose, structure and type prior to incorporation. S-Corporation Status Kit with important information and guidelines for qualifying your corporation for S-corporation status. The central legal document for any corporation is the Articles of Incorporation. In some states, this document may be called a Certificate of Incorporation, Charter of Incorporation, or Articles of Organization. Please check this article section for the requirements in your particular state. This form outlines the basic structure of the corporation and details those matters that are relevant to the public registration of the corporation. The name, purpose, owners, registered agent, address, and other vital facts relating to the existence of the corporation are filed with the state by using this form. Upon filing of the Articles of Incorporation, payment of the proper fee, and acceptance by the state corporation department, the corporation officially begins its legal existence. Until the state has accepted the articles, the incorporators are not shielded from liability by the corporate form. Some states have chosen to confuse matters slightly by referring to another form that may be issued by the state as a Certificate of Incorporation. This article section contains requirements for the state of your potential incorporation. For clarity, however, this article will refer to the incorporator-prepared document as the Articles of Incorporation. There are a number of items that are required to be noted in all Articles of Incorporation. The articles may also include many other details of the corporation’s existence. Please check in the appendix and with your state incorporation department for specific details. Following is a checklist of items which are mandatory or optional for Articles of Incorporation. The Articles of Incorporation for your corporation should include all of the required information. Since the articles are a public record, all of the information in them will be available for inspection. However, since the names of the directors will usually be required to be revealed in the annual reports that are filed with the state, there is no purpose in attempting to conceal identities of actual management of the corporation. Much of the information that is not required in the articles may instead be put into the bylaws of the corporation. In this manner, the actual management structure and details will remain unavailable for public inspection. Note: Some states provide pre-printed Articles of Incorporation that are required to be used for filing. The information required, however, will be the same as is noted in the sample Articles of Incorporation in this chapter. 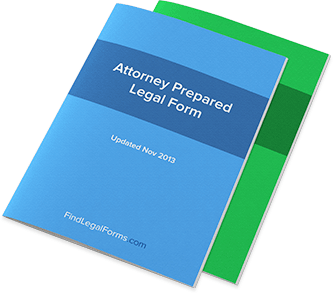 Even if state-supplied forms are used, it will be helpful to read through this chapter and fill in the information as noted on the sample forms. Transferring it to the state form will then be a simple task. Please check the appendix listing for your state’s requirement. Articles of Incorporation can be amended at any time. However, this generally requires a formal filing with the state and the issuance of a Certificate of Amendment of Articles of Incorporation. It also normally requires the payment of a fee. For these reasons, it is often a good idea to put only those items in the original articles that are unlikely to require changes in the near future.